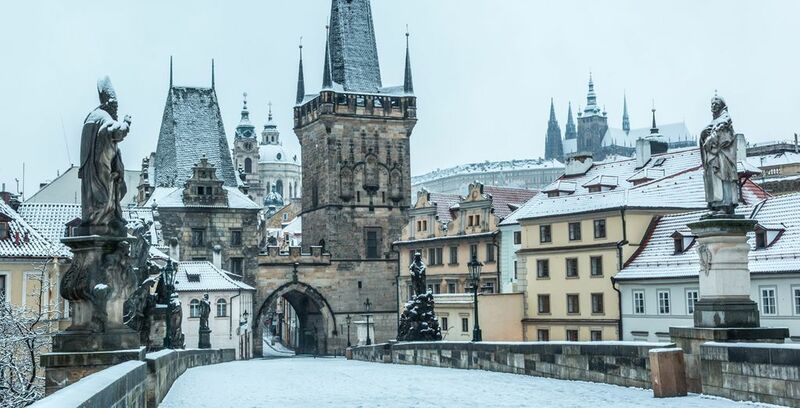 Booking to Prague up to -70% off To take advantage of these offers, join now for free! 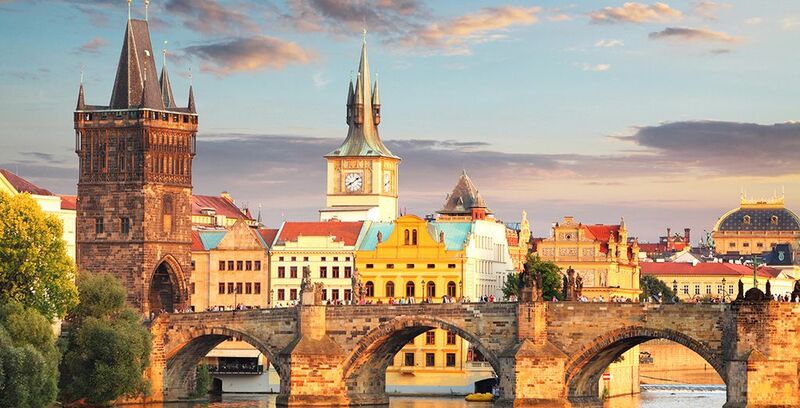 Discover Prague and book your hotel online. Exclusive deals ✅ for hotels located in the heart of Prague's Old Town. Do you want to stay in Prague for your next trip? Here are our best plans to find the top hotels at the best prices. 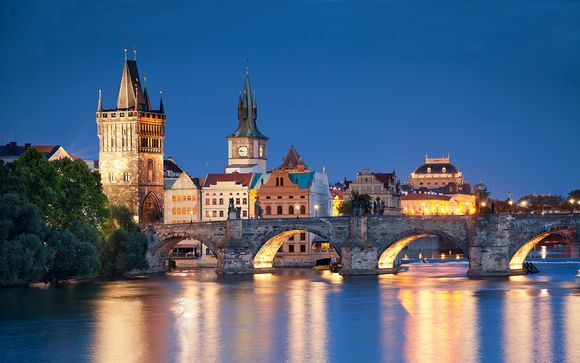 Prague, the “city of a thousand spires,” is known for its gold-tipped towers, bridges and church domes. 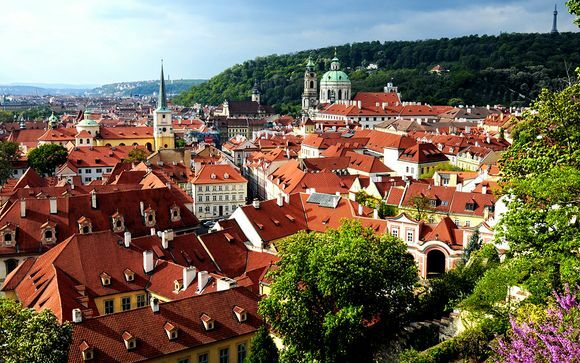 The splendid sights make Prague one of Europe’s most attractive cities. The hotel offers a cozy stay. It is close to the metro making it easy to get to the city centre. Members of this hotel get an Executive Room and a discount on beverages. The Buddha Bar Hotel is located in the centre of the city. You can visit the old town, and many restaurants and bars are close by. The elegant Majestic Plaza hotel is near Wenceslas Square, and it has classy rooms with original paintings. This hotel is elegant and stylish. You can visit the State Opera House and the National Museum easily from the Occidental Praha Wilson. Plaza Alta is a hotel that features some of the world’s most modern rooms. It has beautiful and peaceful surroundings that are eco-friendly. The Elizabeth Suites offer the best facilities and spectacular rooms that are spacious. It is close to the main attractions in the city. 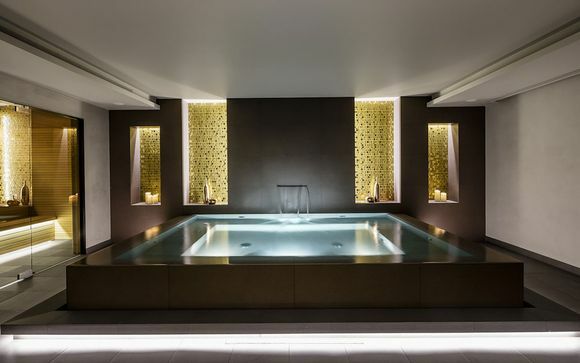 The Panorama Hotel offers some of the world’s most modern rooms. It has a Top Deck Spa that is on the top floor with a sweeping view of the city. Hotel Caruso is best known for its modern rooms and a range of dining facilities. It is convenient because it is close to the city centre. Pure White has everything a person could need for a comfortable stay. The hotel offers high-quality services and a wide range of modern amenities. This fantastic hotel offers spectacular panoramic views of Prague. It is in the residential area of Vínohrady. These hotels are eye-catching and modern, offering incredible views of the city. The hotels have spacious rooms and offer excellent four-star services. Most of the hotels are close to the city centre, making it easy to visit the different tourist sites. 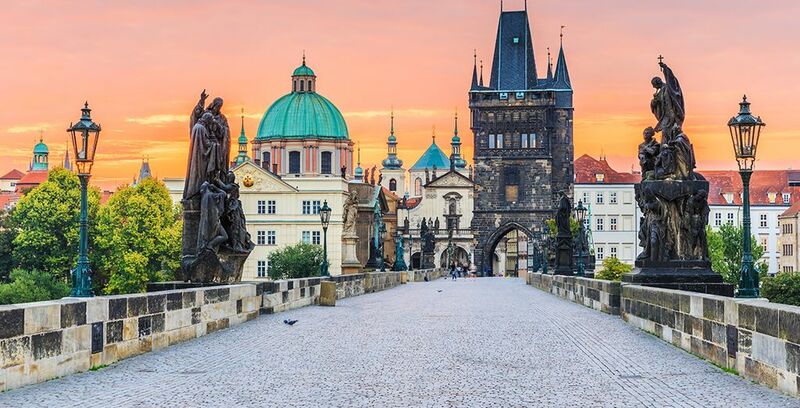 For a romantic getaway, we recommend couples visit Charles Bridge to enjoy the sunrise and sunset. If you're enjoying a family break, visiting Prague Castle will be enjoyable for all, even the children - St. Vitus Cathedral is also at Prague Castle. The John Lennon Wall is a great place to visit if you're travelling solo, and there are a lot of bars and restaurants nearby. To register and make a reservation, you need to start by clicking on “Join now for free”. You can click on the offer or create an alert if there are no offers currently available. The advantage of registering with us is that we have the best services at convenient prices. Some of our best deals offer up to a 70% discount. You can even download our mobile app to stay up to date with the latest offers and information. With Voyage Prive, you can book your hotel and flights by following the simple booking process on our website. 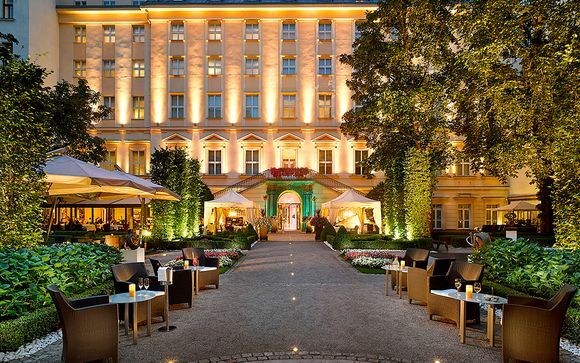 If you’ve already arranged your flights, simply select one of our luxury hotels. 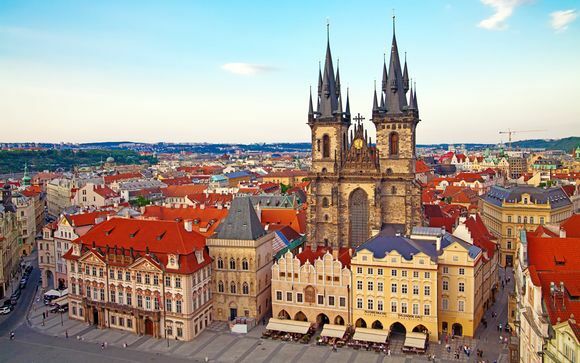 Most of the major tourist attraction sites are in this region, from the Charles Bridge to the Old Town Square. It consists of Vínohrady and Vyšehrad. One of our hotels in this district is Don Giovanni. It is a district in which most of the working class people reside. The hotels are classy, and the neighbourhood is peaceful. 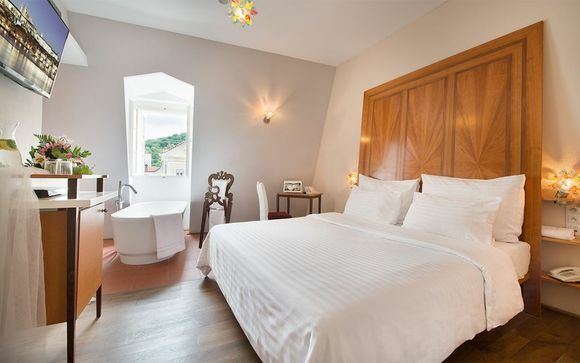 One can learn a lot about the culture of the Czech Republic by booking a hotel in Nusle. 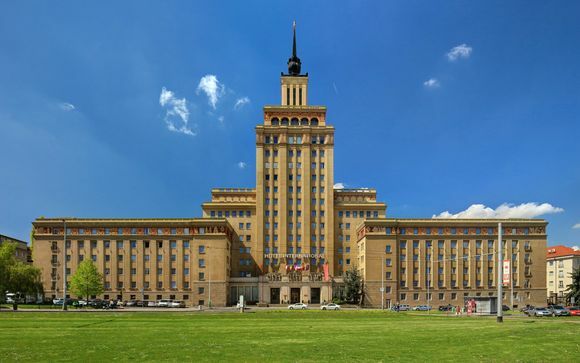 Smíchov has many shopping malls that you can visit and numerous magnificent hotels. Prague has a flourishing social scene that involves many outdoor events. 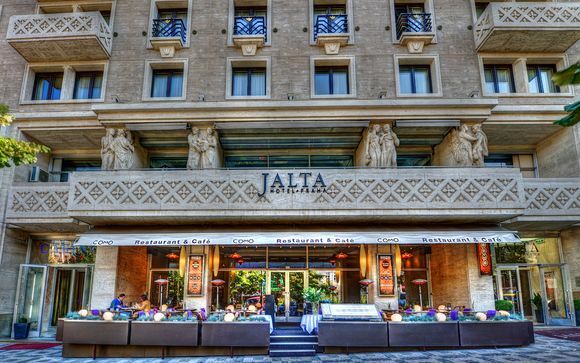 A large number of excellent hotels also offer the best authentic meals in Prague. Sví?ková, or marinated beef, is among the most delicious meals to try, while Guláš is a beef stew with bread dumplings. The average annual temperature in Prague is 9°C, and the eco-friendly environment offers a lot of recreational activities for tourists and residents to enjoy. There are a number of nature parks, historic gardens and water courses around Prague, as well as historical monuments and different cultural events where one can learn more about the city. The Astronomical Clock is a unique attraction and certainly a must-see. The square is home to the Old Town Hall and the Astronomical Clock. It is a major tourist attraction. Experiencing the sunrise at Charles Bridge is truly unique. The sun turns the castle in Prague gold and the sky pink. The bridge is an excellent place for you to spend time with a loved one. The river has the most beautiful pastel building facades. Walking along the river, you get to pass some beautiful parks with some gorgeous buildings. Young people and tourists visiting Prague painted the images of John Lennon here, and you can add some positive messages to it during your trip. St. Vitus Cathedral is the largest church in Prague and is located at Prague Castle. It is the burial location of the past Czech Kings and the dwelling of the Czech Crown Jewels.